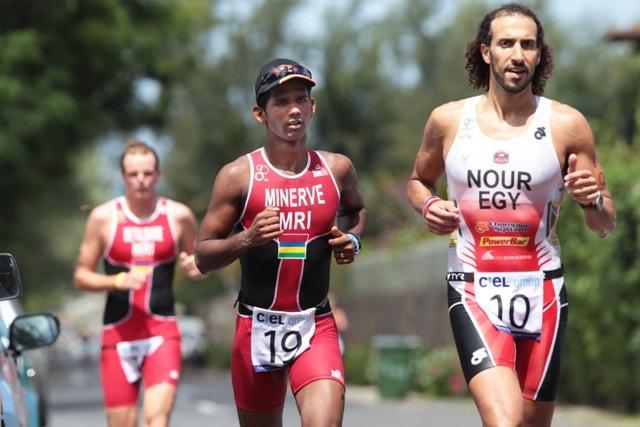 South Africa’s Richard Murray and Gillian Sanders have secured two spots at the London Olympics for their NOC thanks to their respective wins at the 2012 Le Morne ATU Triathlon African Championships in Mauritius on Saturday. 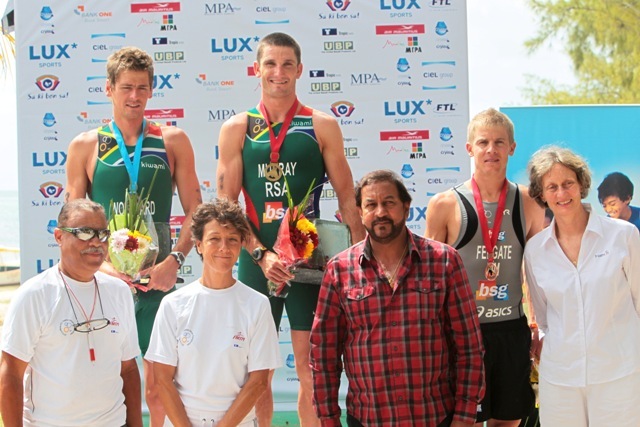 In the men’s elite race in Mauritius, Murray continued his excellent 12 months to secure his second African title. 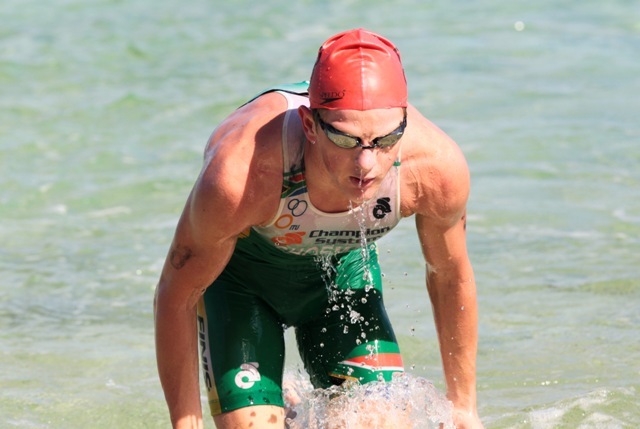 The 23-year-old won his first African championships last year, and then went on to his first World Cup medal with silver in Huatulco. 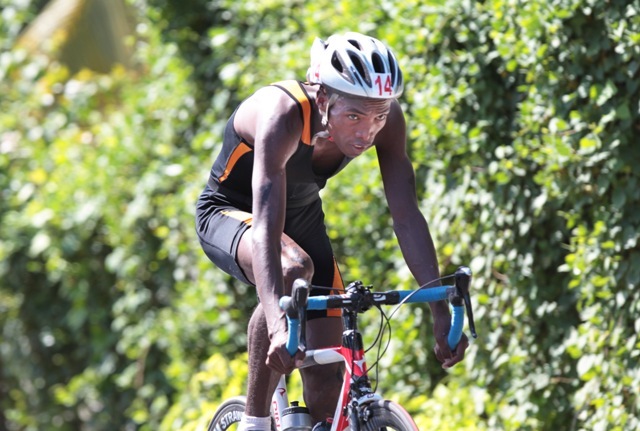 In Le Morne, he posted a run of 32 minutes and 46 seconds, the fastest run split of the day by almost three minutes to post a winning time of 1 hour 52 minutes and 52 seconds. 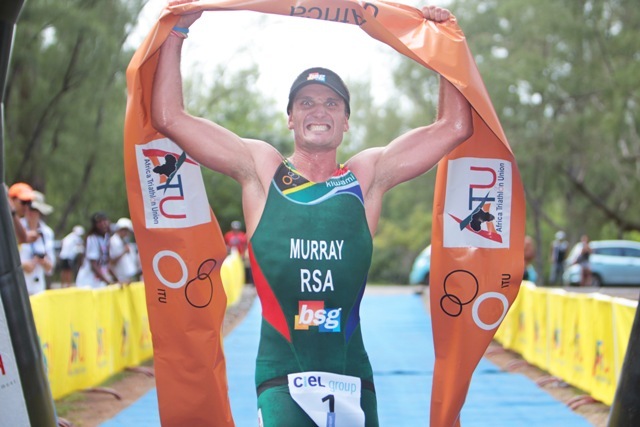 Erhard Wolfaardt was the second African across the line, exactly three minutes behind Murray, while Zimbabwe’s Christopher Felgate finished another 50 seconds back to claim bronze. 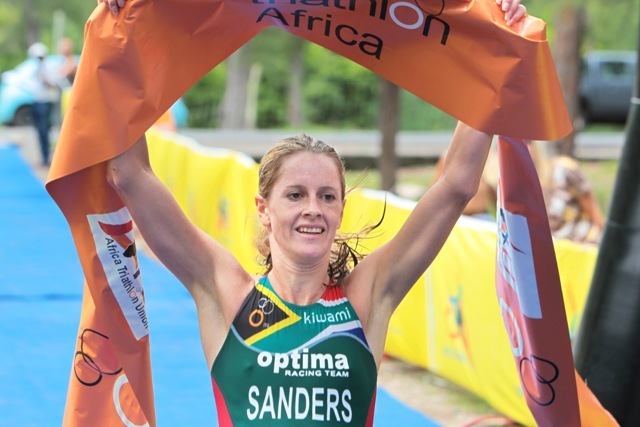 In the women’s race, Sanders collected her first African title ahead of Carlyn Fischer and reigning champion Kate Roberts. With all the women close in T2, it came down to the run and Sanders put in a 37 minute 32 second leg to claim the gold by just over a minute. 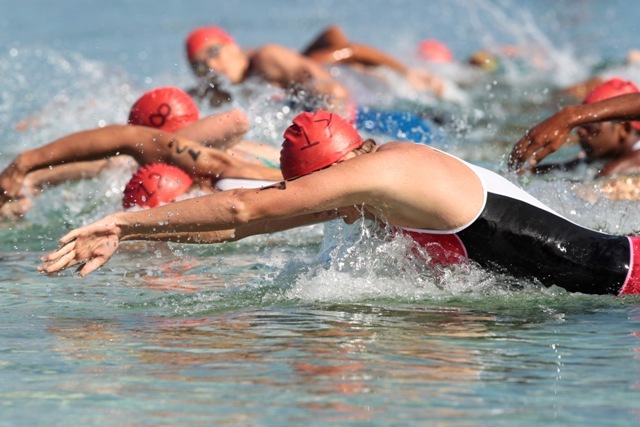 In ITU’s two-fold qualification process, where athletes work to secure points for their National Olympic Committee and then meet their National Federations qualification criteria to fill those spots, each of the five Continental Championships has an important role to play. 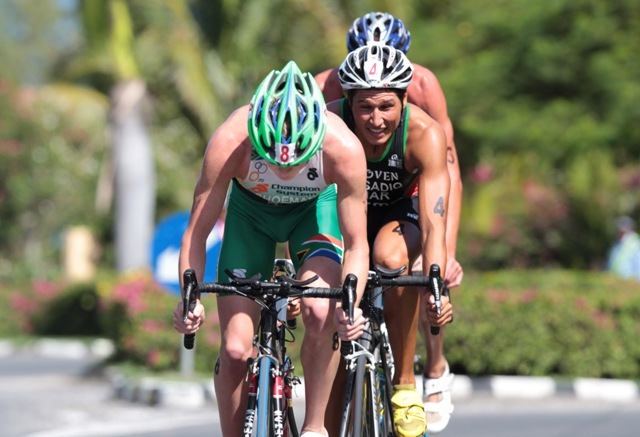 Each of the 10 winners, elite men’s and women’s across the five continents, secure one place for their NOC in London. 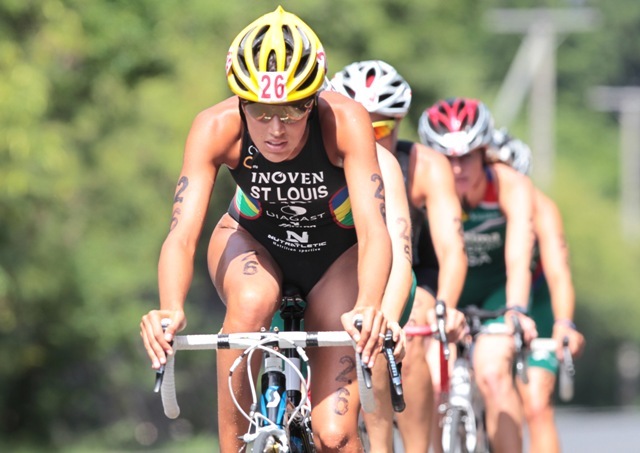 Therefore Murray and Sanders secure two places for South Africa, but its now up to Triathlon South Africa to decide how those places are filled. But the results did also have an impact in Olympic rankings list. While Murray’s already held the African title and the result does not change the men’s Olympic qualification picture much, other than to ensure that South Africa can send at least one man, the result means that right now he is most likely to be that man selected off the back of his impressive 12 months. But Sanders win could have changed the women’s Olympic qualification picture significantly, with South Africa now in a position to send two women to London. 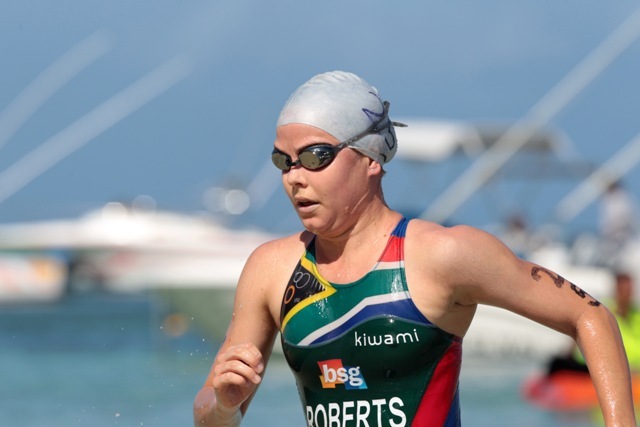 Before the African championships Roberts held the only Olympic qualification spot with her African Championships win, and was therefore the #1 woman qualified for South Africa. Now that Sanders takes over that spot, Roberts becomes #2, but her high ranking over the qualification period so far means she is still sitting in the top 20 and that South Africa are now in a strong position to send two women to London. 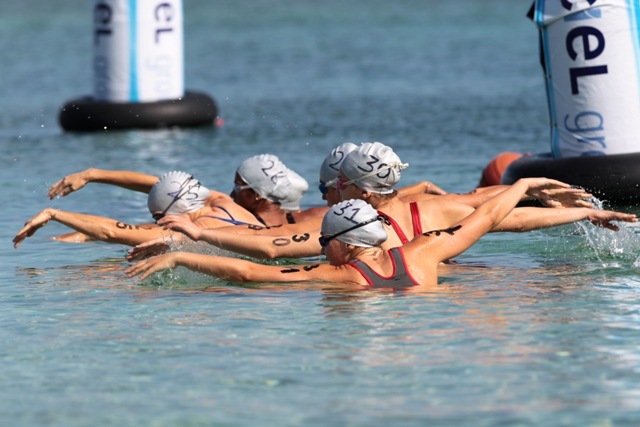 The final four continental championships London places will be decided over the next three weeks, with the 2012 Tateyama ASTC Triathlon Asian Championships and the 2012 Eilat Triathlon ETU Championships both to take place in April. To see how athletes and countries qualify spots for London, click here for Qualification 101.